A house on the riverfront of one of Virginia’s larger rivers is a home for the more selective inhabitants. While not without a challenge or two, if you are enthralled with the many charms of the valleys and the mountains that form the confines of Virginia’s rivers, a riverfront home is a home for you. 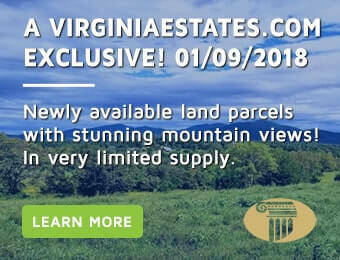 Why Own a Virginia Riverfront Property? A riverfront property in Albemarle County places you within 100 miles of the nation’s capital, minutes from the University of Virginia, one of the country’s most prestigious universities, a vibrant downtown community, yet allows you to be surrounded by the rapture of nature. Many of Virginia prominent river communities are thriving small towns and cities that are great places to raise a family or start a business. A home on the James or Rivanna River is a piece of real estate that calls out to a particular market niche. A discriminating buyer, called to live by the charms of a beloved river will appreciate the value you have preserved or created. As such, your property will shelter your investment as it shelters your very life, delivering a premium when sold. A home on the shore of the rivers is surrounded by the organic wonder in which a river abides. The current gently lapping on the shore is a pleasant soundtrack to accompany your appreciation of the animals and plants that holistically share your estate. The James River and the Rivanna River both offer canoeing, kayaking and rafting. Toe dipping is always an option. The further East you travel or select the larger the vessel you will be able to utilize. At one point the James was a virtual highway for product, supplies and export. The river offers differing views. Some locations offer the lush river bottom. Other locations find the rivers meandering through lush valleys. And who can deny the beauty of the Blue Ridge Mountains, providing the back drop for your home? If fishing is your hobby, you will find a wide diversity of species available for your capture. From your canoe, or your shoreline, you can immerse yourself in a relaxing pastime with benefits! And even if fishing is not your pleasure, you can still enjoy boating in your canoe or your kayak. Maybe your children will enjoy just floating on an inner tube in the calmer stretches. As there are many large plots available, it is possible to build your own dream house, on the banks of a Virginia river, where you can design your own personal escape. The plains along stretches of the Rivanna or James River offer untouched organic materials for planting your own garden, or even joining the many vineyards that populate Virginia. With a river as your front, back or side yard, and given that many of the riverfront lots are a little removed from the urban setting, a higher level of privacy is possible. How many residents of the urban or suburban lifestyle can boast of the benefits afforded by living on the riverfront. Life on the river is a far cry from the usual neighborhood surrounds. Living on the beautiful rivers of Virginia is not for everyone. There are those of us that don’t want to be like everyone. Some of us want something else, something more. Find your something special on the banks of the Rivers of Virginia.